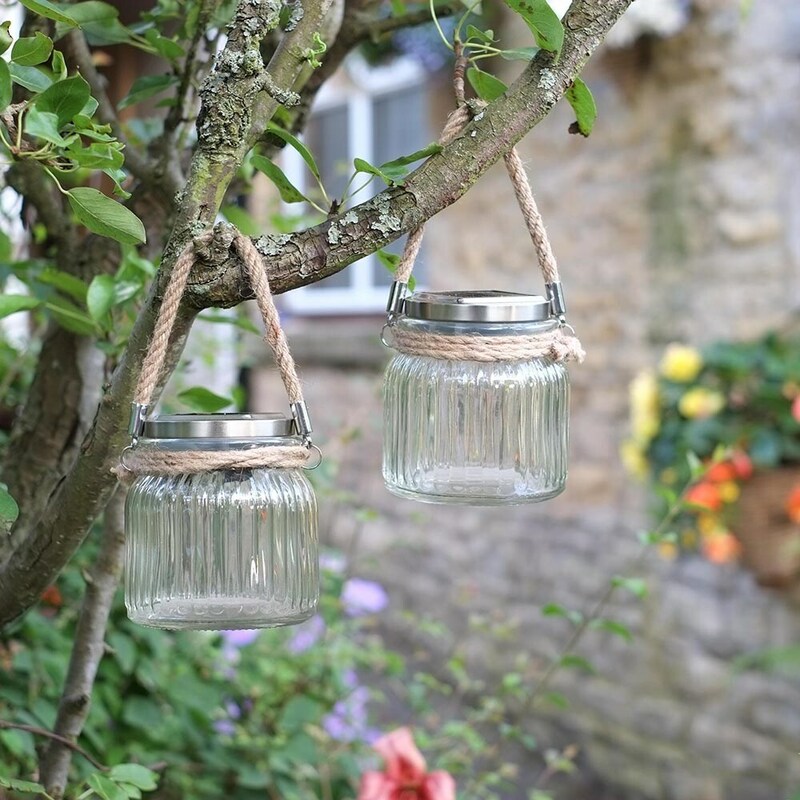 Add atmosphere to al fresco entertaining with this pair of glass jar lanterns. 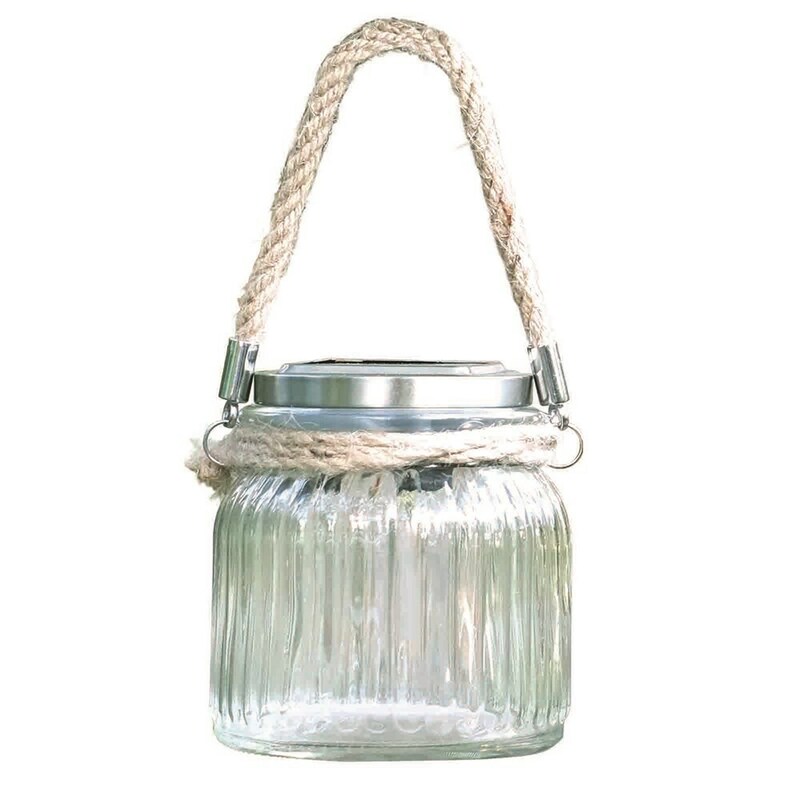 Made from clear glass embellished with twine, the jars hold a white LED that emits a flickering candle-style glow - bringing indoor cosiness to your outdoor space. The rustic rope handles make them ideal for hanging from trees, fence posts or hooks, but they can also be used as freestanding table lamps. 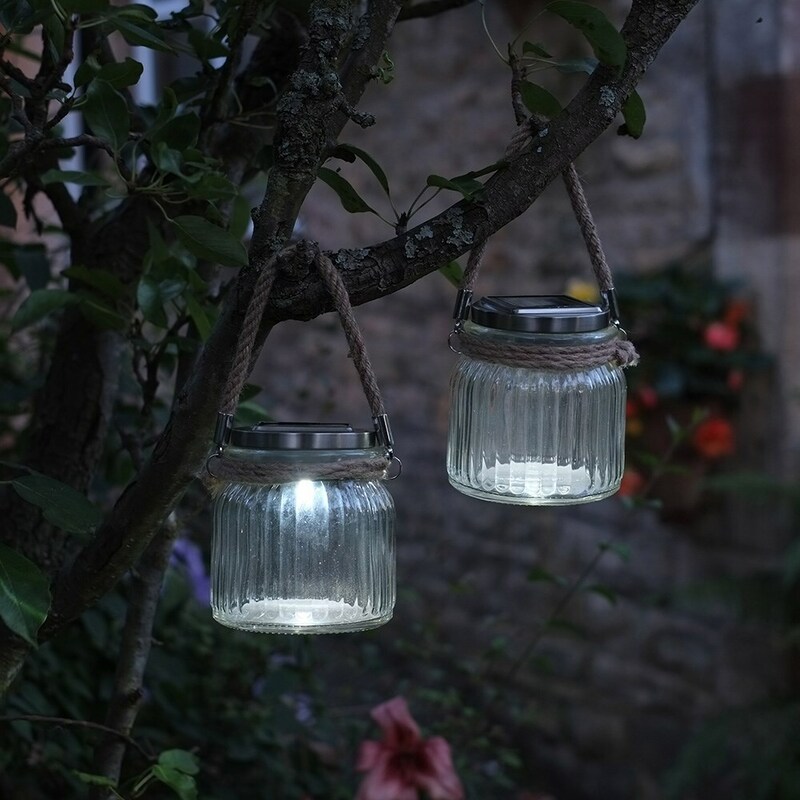 The jars are powered by small solar cells and require one AAA battery (supplied). Minimum operating time of 6 hours when fully charged.